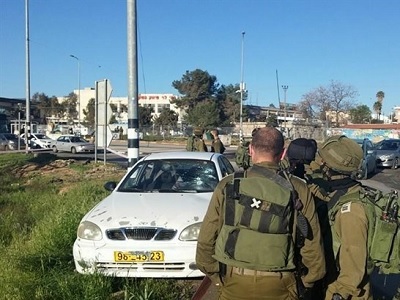 Israeli forces shot dead a 34-year-old Palestinian woman on Friday morning after she allegedly rammed her car into an Israeli soldier stationed at the Gush Etzion junction in the southern occupied West Bank. An Israeli army spokesperson said that after the woman hit the soldier with her car, Israeli forces “responded to the imminent threat” by shooting and killing her. The spokesperson said the soldier was evacuated to hospital, although she was unable to confirm his condition. She alleged that a knife was found in the woman’s car. The Palestinian Ministry of Health later identified the woman as 34-year-old Amani Husni Sabatin from the nearby village of Husan in western Bethlehem. The head of Husan’s village council, Hasan Hamamreh, told Ma’an that Israeli forces had sealed the eastern and western entrances of the village following Sabatin’s death. He rejected the army’s allegations that she had attempted to carry out an attack, saying her death was an “obvious execution” that continues Israel’s crimes and violations against Palestinians. Hamamreh said Sabatin was married and the mother of four children, the eldest of whom is a 14-year-old daughter. Her husband works in Israel. 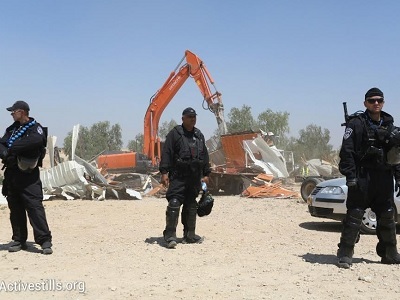 He added that the Israeli authorities had summoned Sabatin’s husband, father, and brother to the Etzion detention center to identify her body. It was not clear when her body would be released for her funeral.